About 70 percent of the companies in the UAE are planning to recruit new staff in one year, said a study conducted by Bayt.com along with YouGov. Close to 1,500 people participated in the survey conducted between 19 May and 19 July. It was revealed that 69 percent of the UAE employers plan to hire new employees within the next 12 months, an increase of 67 percent compared to the corresponding period in 2016. Enterprises are intending to hire for roles such as junior executive, administrative assistant, manager, coordinator and sales executive. Although opportunities may differ from industry to industry, numerous small and medium to large-scale firms in the private sector are expected to hire. Suhail Masri, vice president of employer solutions at Bayt.com, was quoted by Gulf News as saying that the hiring estimate expects the job market to be strong, as nearly seven in ten employers in the UAE plan to recruit within the next year and a few are planning to hire within three months. 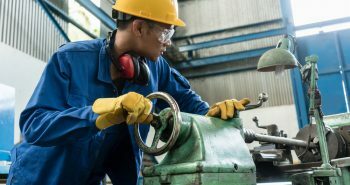 The UAE had seen slightly dull hiring activity in the last two years, as employers had become circumspect about hiring and opted to modernise payrolls to tackle the slowdown, which was a result of falling oil prices. The latest MEI (Monster Employment Index) online job listings by firms in the UAE declined by 14 percent in the second quarter of 2017 compared to the quarter prior to it. 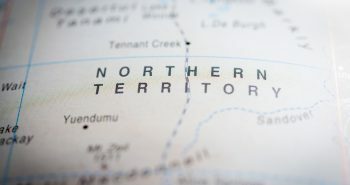 Vacancies can still be found in enterprises unaffected by the decline, particularly those selling or manufacturing garments, textiles, consumer goods, gems and jewellery and leather. New vacancies are being advertised by many online job portals. It was seen at getthat.com that over 2,500 jobs were listed as of 28 August, close to the same number of job openings that could be found on Bayt.com. Masri said that they had also seen 36 percent of them planning to recruit in the Emirates within three months are intending to hire for more than five job functions. About 75 percent of those polled said that their employer has recruited new staff within the past one year. About one in two of them stated that they have hired within the last three months alone. In 2018, candidates having degrees in engineering, business management and commerce will find more takers. The rider, however, is that the news staff are team players and have proficiency in Arabic and English. About 53 percent of the companies want employees who are team players and are helpful, cooperative and flexible, followed by 50 percent who want those having an ‘ability to perform under pressure’ and communicate well in English and Arabic. If you are looking to migrate to work in the UAE, get in touch with Y-Axis, a leading company for immigration services, to apply for a work visa. Hiring in UAE in the fast-moving goods industry has increased by 9% with firms in this sector offering the most job vacancies. The fast-moving goods industry in the UAE is one among the few sectors where in the number of job vacancies are actually increasing. Hiring in UAE is on the increase for firms who are in the business of manufacturing or selling consumer goods such as chocolates, aerated drinks, candies and processed foods. As per the index of employment, hiring in UAE for firms in the fast-moving goods industry, leather, textiles, garments, jewellery and gems business increased by 9% in 2017. This was also an increase of 26% when assessed with 2016-Q2, as quoted by the Gulf News. Asia Pacific and Middle East Managing Director for Monster.com Sanjay Modi said that online hiring in UAE in the consumer goods sector has increased since the beginning of 2017. This could be owing to the usually high rate of turnover witnessed in this industry, added Mr. Modi. Firms in the UAE in the healthcare industry that includes hospitals and clinics offered more jobs with an increased hiring of 7%. Companies dealing with pesticides, fertilizer, paint, rubber, plastic, and chemicals also were upbeat with increased hiring of 9% in the second quarter when compared with the first quarter of 2017. Monster.com Asia Pacific and Middle East Managing Director also said that it is very encouraging to see growth in hiring online in the healthcare sector. This complemented with stabilization in jobs in this sector is a good thing as UAE increases its efforts to offer healthcare at global level, explained Modi. If you are looking to Study, Work, Visit, Invest or Migrate to UAE, contact Y-Axis, the world’s most trusted Immigration & Visa Consultant. The Ministry of Interior (MoI) of the UAE is mulling a proposal to scrap the residence visa stamping on passports of expatriates. As of now, all Emiratis are required to stamp their passports with the residence visa. Discussions on this proposal took place during a meeting of the MoI’s foreigners’ affairs departments and directors-general of the residency. 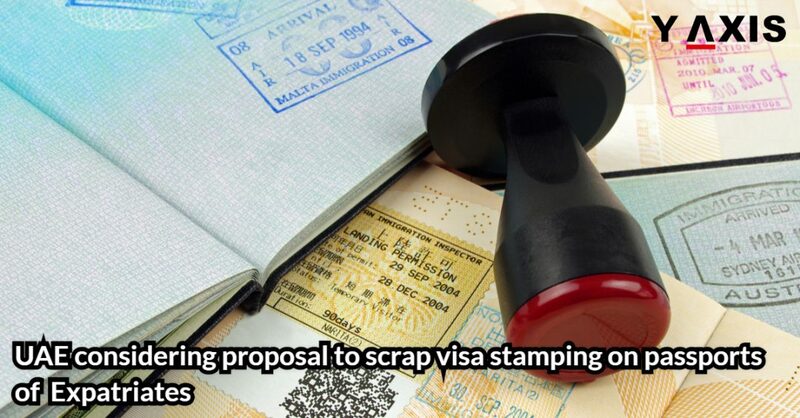 It is said that the required procedures and alternatives were reviewed for eliminating the stamping procedure. The proposal, it was felt, was devised to achieve the MoI’s objectives to promote its smart services offerings. It was also indicated that the ministry was in the process of launching a smart system with an aim to cut down the waiting times for the entire visa process. The MoI was quoted by Khaleej Times as saying that this measure would help residents prevent the need of visiting a service centre in person to get their visas stamped. It added that by removing the need to do so completely, it would help the process in becoming smart in alliance with the partners of the ministry. The MOI said that it could be offered as per the best global standards inside of a unified system. The meeting is also said to have reviewed the results of a pilot smart visa processing system that it had recently launched in Ajman. This system cut down the time after applying for a visa to its receiving by 50 percent. If you are looking to visit the UAE, get in touch with Y-Axis, a renowned company for immigration services, to apply for a relevant visa. One can obtain a resident visa through investment or employment in the UAE. Of the two, the easier route of getting the visa is by establishing a company in the Emirates. The companies can be setup in UAE with 100 percent foreign ownership. But it is needed for investors to have physical premises for obtaining and holding the licence. In addition, the authority’s selection of the premises where it would be established is vital to maintaining establishment costs reasonable. There are various options among authorities of northern Emirates and Dubai’s young free zone bodies. 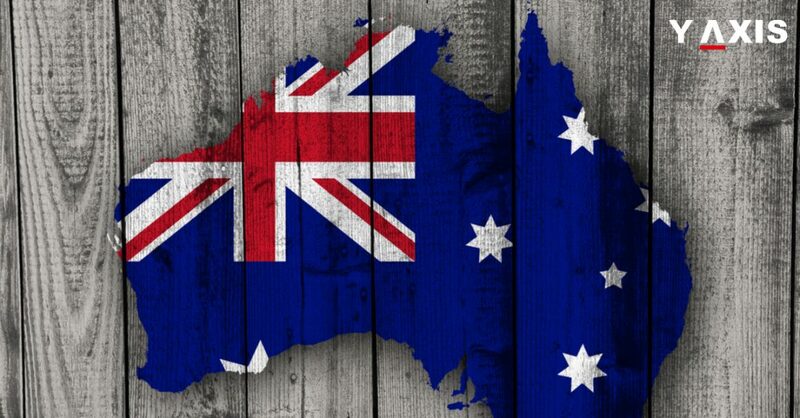 Investors need only to stay between five and eight working days in the jurisdiction to be able to receive their investor visa once the company’s establishment is completed. After getting the visa, its holder can sponsor family members as her/his dependents. Residence Permits of dependents are valid for a maximum of three years. Even the Residence Permit is valid for a maximum of three years, but it can be extended subject to the company’s licence renewal and if the visa holder re-enters the UAE compulsorily once in every six months. The resident visa holder will be able to enter and leave the country any number of times and is allowed to reside in any part of the UAE. The UAE authorities do not mandate that resident holders spend a for a stipulated number of days in the jurisdiction, but have to visit the UAE twice a year as mentioned above. 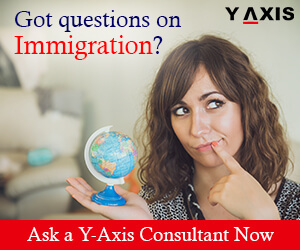 If you are looking to obtain a resident visa in the UAE, get in touch with Y-Axis, a reputed consultancy for immigration services, to apply for it. UAE has seen a growth of companies that specialise in hastening the process of offering a second nationality. Although such companies exist all over the world, Dubai is said to have become a nerve centre for this industry. As the UAE doesn’t permit dual nationality for its nationals, these companies are said to be catering to the huge expat population in that country. Many people opt for a second nationality because of the numerous benefits it affords. If one obtains a passport from countries like Cyprus, entry to the EU or the UK is visa-free. In addition, it allows wealthy people to hoard their money in countries which are relatively more tax-friendly than their home countries. 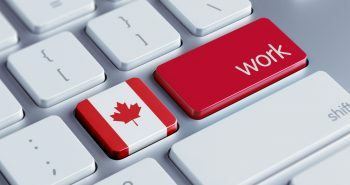 According to Forbes, programs offering citizenship through investment was first made popular by Caribbean countries in the 1980s. It allowed foreigners to gain citizenship of another country if they significantly contribute economically. 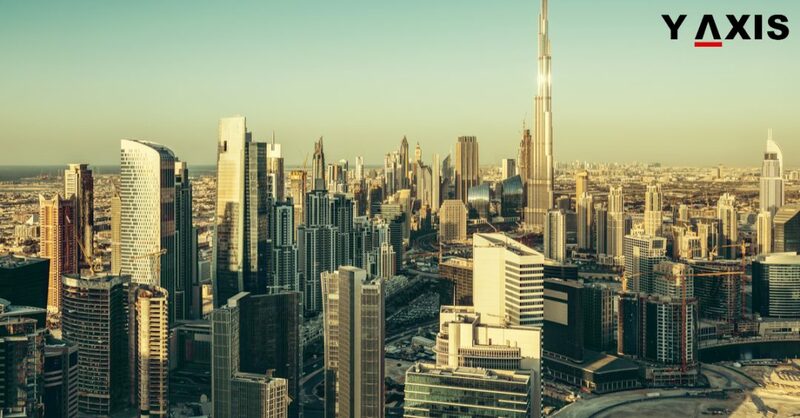 Many local and international companies in Dubai, calling themselves ‘citizenship-by-investment consultancies,’ are operating to help their clients, mostly rich Arabs, in the application process. These 20 odd companies offer citizenship of countries such as Antigua and Barbuda, Cyprus, Dominica, Grenada, St. Kitts and St. Lucia. 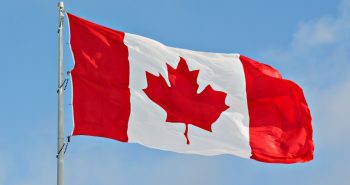 But if you are looking at exploring other countries to obtain a citizenship, get in touch with Y-Axis, a highly reputed company for immigration services, to apply for an investor visa. UAE nationals get a visa waiver or a visa on arrival when they travel to Georgia, Armenia, Azerbaijan and most Gulf Cooperation Council (GCC) countries. What’s On says that though the UAE does not have any embassy of Georgia, it was told by several airline carriers and travel operators that residents of the UAE can enter this European country and stay without needing to carry a visa for up to three months. It quotes the Georgian website as saying that UAE residency permit and visa holders do not need a visa to enter Georgia for staying there for up to three months in a six-month period. It also adds that they need to show appropriate residency permits or visas along with their passports when they enter Georgian border. Holders of a UAE residence visa can travel Azerbaijan with a UAE national and get a visa on arrival. 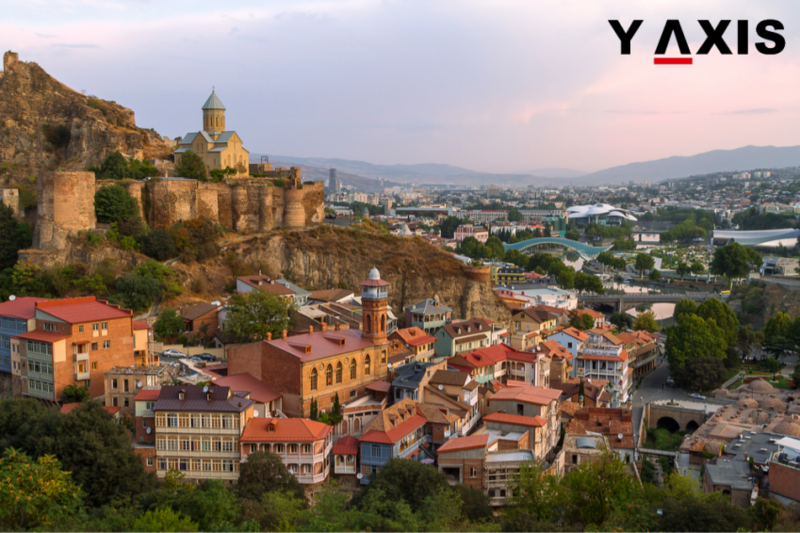 Resident visa holders of the UAE can travel to Armenia and get a visa arrival for a short stay by paying AED20. Most GCC countries, excepting Saudi Arabia, allow UAE nationals to enter their country sans visas. The other countries that Emiratis can enter Visa-Free include Hong Kong, Indonesia, the Maldives, Mauritius, Seychelles, Sri Lanka and most countries of South America. If you are looking to travel to any of the aforementioned countries and are a holder of a UAE visa, get in touch with Y-Axis, a prominent company for Dubai Immigration Services. 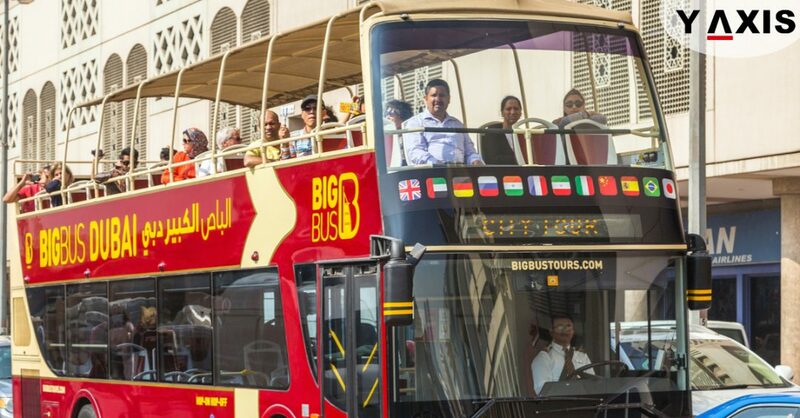 The UAE is initiating measures to make travel from India to airports in Emirates affordable and feasible as the proportion of Indians touring Dubai and Abu Dhabi has touched record numbers. Dr. Ahmed Abdul Rahman Al Banna, UAE Ambassador Extraordinary and Plenipotentiary to India, is said to have held extensive talks with Jayant Sinha, Indian Minister of State for Civil Aviation, to increase air transport facilities and services between the UAE and India. WAM (Emirates News Agency) quotes a statement from the UAE Embassy in New Delhi after the two met as saying that both of them agreed to schedule a meeting between the Civil Aviation Authority of India and the General Civil Aviation Authority of the UAE to recommend a new agreement and policy for the bilateral air services arrangement. Dr. Al Banna said that the UAE was ready to add few more flights and routes to connect India’s regional airports to the ones in the UAE that will lead to affordable pricing with the requisite capacity and also needed to concentrate on an open sky policy that increases the potential for enhancing relations between both the countries. It was suggested that talks pertaining to this issue must be held on 3-4 October. Moreover, important issues were discussed between Dr. Al Banna and Sinha for the long-term mutual cooperation and strategic ties between the UAE and India. In the existing air services agreement, a clause mandates that when capacity on routes linking the UAE and India reaches 80 percent, air carriers in both countries should renegotiate new quotas to be shared between them. Owing to a large rise in tourism, business and family travel between airports in India and the UAE, capacity is said to be now running at 100 percent of the about 130,000 seats allowed per week. 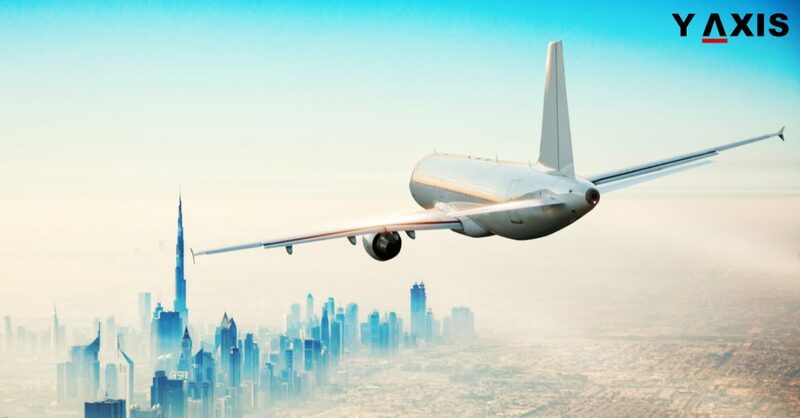 In addition, airline carriers in the UAE wish to raise the capacity to allow more travellers to fly to UAE destinations and connect with other destinations in the Gulf and further at affordable prices. If you are looking to travel to the UAE, get in touch with Y-Axis, a pre-eminent consultancy for services in immigration, to apply for a tourist visa. 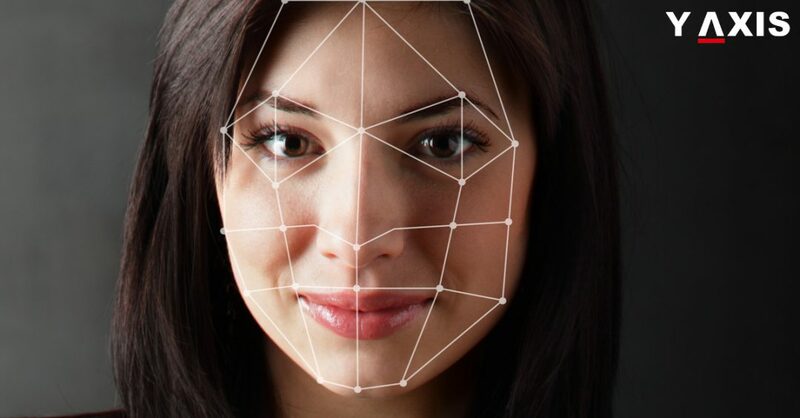 The United Arab Emirates will unveil an e-government service that uses face recognition technology for granting visa applications of its citizens. Earlier, the Ministry of the Interior (MoI) launched on 1 August ‘E-channels’, a new smart services system that allows its nationals and residents to apply for residency visas and entry permits in fewer than 10 minutes. Using face recognition technology to recognise the applicants, the system is capable of reading official documents electronically, handles routine requests in addition to accounting, auditing, protection, quality control and governance, all of which are done electronically according to international standards. 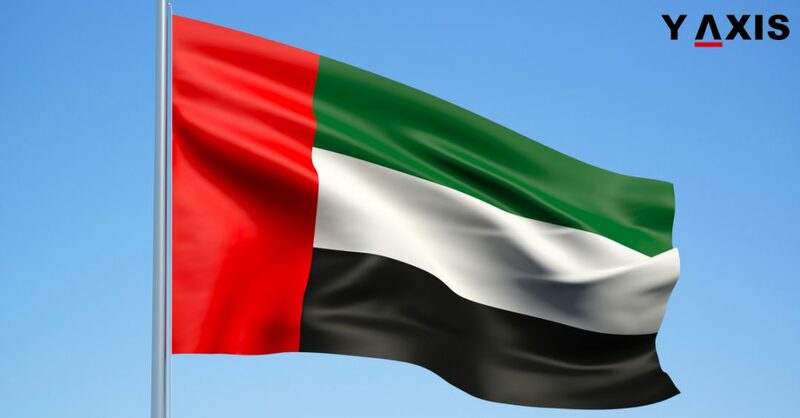 Brigadier Mansour Ahmad Al Daheri, director-general of residency and naturalisation department of Abu Dhabi, was quoted by Planet Biometrics as saying that the new system does not need people to physically go to different visa centres in the UAE. He added that they can register online and opt for the services they require. The applicants should, however, have an email id and password to be able to log into the system, he added. The MoI has partnered with Tahaluf Al Emarat Technical Solutions to develop the e-services system, allowing companies, typing centres, and individuals (citizens, residents and nationals of GCC) to use them. 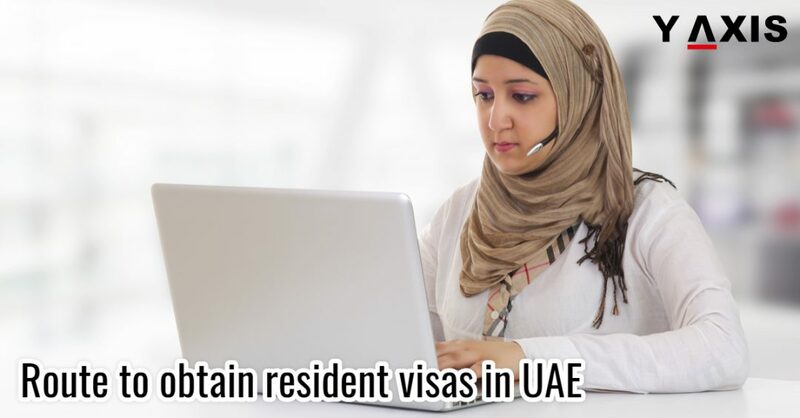 This system allows UAE nationals lets resident apply for new visas, sponsor individuals and allows GCC citizens to apply for sponsoring individuals. If you are looking to travel to the UAE, get in touch with Y-Axis, a prominent consultancy for immigration services, to apply for a visa. The Ministry of the Interior (MoI) on 1 August unveiled a new smart services system for the citizens and residents of UAE, allowing them to obtain certain entry permits and residency visas in less than 10 minutes. A new system of smart services, ‘E-channels’ for citizens, residents and ports, has begun to be implemented by the General Directorate of Residency and Foreigners Affairs of the MoI. The new system does need people to visit visa centers in the Emirates. It is expected that the new services would further hasten up entry permit and residency services in the UAE. With the system, customers can complete their applications without needing to visit service centers in the country, a move that will ensure the speedy delivery of services in procedures with regard to entry and residency visas. Brigadier Mansour Ahmad Al Daheri, Director of Residency and Foreigners Affairs, was quoted by Gulf News as saying that the system will cut down the number of customers heading to service centers by 80 percent by next year. Test runs and experts estimates say that response to applications will not exceed 10 minutes, as it also depends on how quickly the data is being entered by the applicant into the system. An application being entered at a typing center would expect to get a response in five minutes. If accurate information and proper documents are submitted, entry visa for the UAE would take not more than five minutes. If you are looking to travel to the UAE, get in touch with Y-Axis, a leading company for immigration services, to apply for a visa. The first six months of 2017 saw about 8.06 million foreign tourists arriving in Dubai, an increase of 10.6 percent compared to the same period in 2016, revealed figures released by the Department of Tourism and Commerce Marketing of Dubai (Dubai Tourism). India continued to be the top source market, as 1,051,000 travelers arrived from that country between January and June, a rise of 21 percent over the same period last year. They were followed by Saudi Arabia and the UK. The regulatory changes effected to nationals of China and Russia, granting them visas on arrival bore fruit, as the tourist arrivals increased from both these countries by 55 percent and 97 percent, respectively, in the first six months of 2017 when compared to the same period last year. While 413,000 Chinese visitors entered it, 233,000 tourists came in from Russia. Barring Oman, visitor arrivals from all the other top 10 source countries increased. While tourist arrivals from the US increased by six percent, their numbers from Pakistan, Iran and Germany increased by 11 percent, 27 percent and six percent, respectively. Helal Saeed Almarri, director-general, Dubai Tourism, was quoted by Khaleej Times as saying that they were happy to see that Dubai managed to sustain the growth momentum it had achieved in the first quarter to deliver a double-digit increase in first half of 2017. If you are looking to travel to the UAE, get in touch with Y-Axis, a reputed consultancy for immigration services, to apply for a tourist visa.